Academic Law Library Director Jamie J. Baker discusses the requirements for scholarly research journal content in the context of the global push-back against publisher pricing increases that are beyond the acceptable thresholds of organizational funding and budgets. 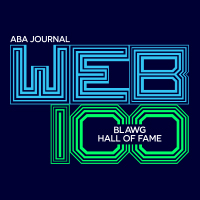 Lawyer, legal tech Innovator and legal blogger Kevin O’Keefe showcases the extraordinary talents of Robert Ambrogi, who is acknowledged as the best in class of law and technology journalism in America. 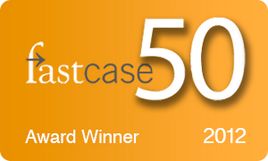 Ed Walters, CEO of Fastcase, talks about how the new age of law firm innovation is changing legal services by moving from anecdotal to data-driven insights and thus providing better-informed guidance for clients. Walters also identifies the value of analytics to manage and mitigate risk, which he points out is almost always more cost effective than litigating the effects after the fact. Most importantly, Walters highlights not only how law firms are using AI, but that they are also building their own tools to deliver new types of services as well. Using Google Maps costs more than you think. Jason Voiovich’s article focuses on a subject of recent attention by Congress, privacy groups and journalists, both in the U.S. and abroad. Tech Giants distribute services and applications that are free, but nevertheless track and monitor your mobile activities – collecting, aggregating and monetizing information about many facets of your daily life. In this case, Voiovich discusses Google Maps with the understanding that his evaluation is applicable to many other services and companies – all of whom are providing you with their “services” at no “cost” until such time as you understand the price you are really paying to use them. V. Mary Abraham shares the law firm ranking system used by Fidelity’s Head of Legal Innovation.